The United Kingdom of Great Britain and Northern Ireland is deeply concerned by the announcement of the Chairman of the Zanzibar Electoral Commission to nullify the elections. The United Kingdom of Great Britain and Northern Ireland is deeply concerned by the announcement of the Chairman of the Zanzibar Electoral Commission to nullify the elections. We note that all the international observers were impressed by the quality of the electoral process they witnessed. We call on ZEC to resume the results tabulation process without delay. We congratulate the people of United Republic of Tanzania on the peaceful and enthusiastic way in which they participated in their elections. We call on all political actors to seek a solution which respects the will of the Zanzibari people as expressed in the polls on 25 October. 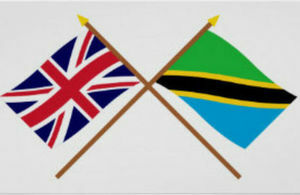 The United Republic of Tanzania has a well deserved reputation for peace and stability and respecting democratic principles. We urge all Zanzibaris to maintain peace and we commend the restraint they have shown so far.